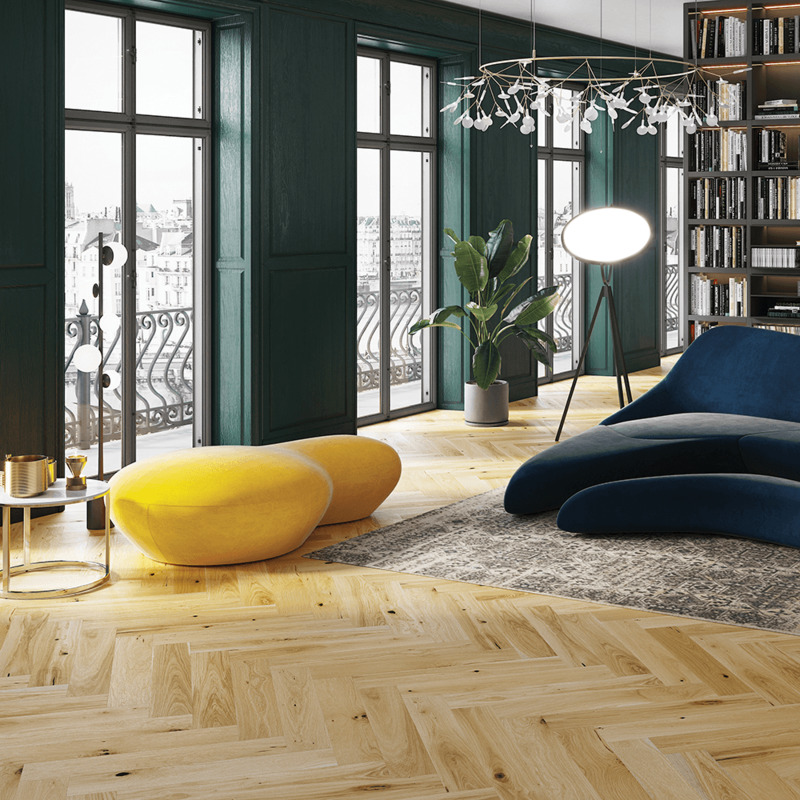 This luxurious Herringbone / Parquet floor is suitable for those of you looking a classy oak finished floor in your home, that has its own unique look from the majority of other engineered or solid floors due to its design. This engineered board is compatible with under floor heating systems. Each individual board measures 130mm in width by 725mm in length. Each plank is 14mm thick with a 2.5mm solid top giving you the opportunity to to sand and reseal the floor on a couple of occasions and help extend the lifespan of the product. Its slight colour variation and low knot content provides a clean uniformed look thought your home. With a couple of design methods available why not take a browse through the pictures to see which one you want to go for? This has just been fitted so I can’t tell how it wears yet but for the look and the feel, I love it. It is matt and has a lovely natural oaky colour, not too yellow. It’s got a smooth texture, warm to the touch and has no shine on it at all, you can feel the fine grains of the wood and for the price I’m delighted. Excellent delivery process and really helpful customer service. Thank you!